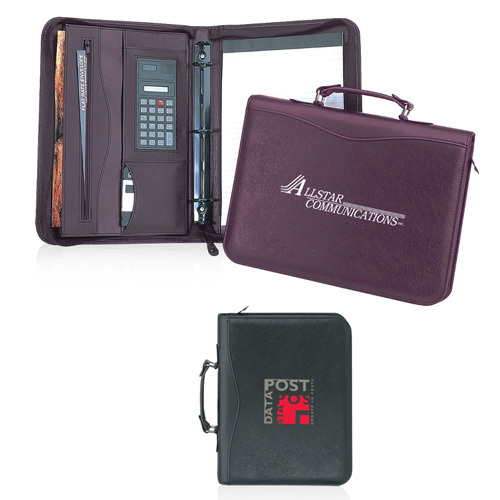 Executive 3-Ring Handle Portfolio This portfolio is perfect for meetings in the office or on the go.The top carry handle makes travel easy. 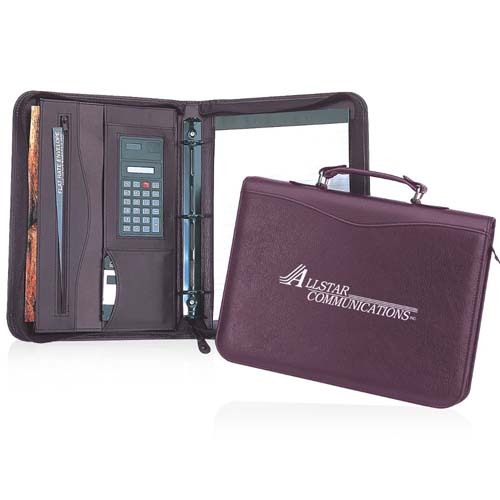 Inside, it features a 1-1/4" matte black metal three-ring binder, a multifunction organizer, a removable solar calculator, an 8.5" x 11" writing pad and pen loop. 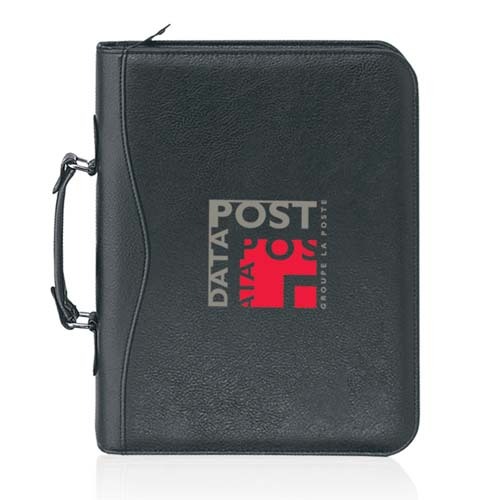 Best of all, it zips closed to protect your important papers. Made of simulated leather. Gift Box / 28 lbs / 10 pcs.